Healthcare is slowly entering the third wave of IT adoption. Unlike other sectors, such as industry and manufacturing, healthcare has been slow to start a digital transformation despite the enormous potential benefits that exist. Consumers of healthcare services have been quicker to turn to digital channels to find answers to medical questions and problems, paving the way for third-party software and health providers to enter the market. In 2015, Deloitte noted that there were over 100,000 health-related apps on iOS and Android; a sign of how fast investors and entrepreneurs have moved to fill a complex set of needs that the healthcare sector had not responded to quickly enough. Another sign of this is, how little, compared to other industries, healthcare and pharma companies spend on digital advertising: only $1.4 billion in 2014. Why is digital transformation a slow process for healthcare? For healthcare companies, there are several barriers preventing digital transformation. In two of the world’s largest healthcare markets – the US and UK – there are serious headwinds and challenges. Uncertainty is everywhere. In the US, the Trump administration has thrown healthcare markets into turmoil. There have been several failed attempts to overhaul and undermine the ACA (Obamacare). It has not been repealed, but for healthcare leaders and those running insurance marketplaces, considerable damage has been done. In the UK, a combination of an NHS funding shortage and partial privatisation are causing significant challenges for public and private healthcare providers. Consequently, although digital transformation – producing efficiencies – will solve some of the funding challenges, resources aren’t being put in the right places to ensure long-term projects generate an impact. Secondly, around the world, there is a gap between the funding going into healthcare IT and the value from those investments being understood and maximized. McKinsey analysed data from 1,370 case studies in the Healthcare Information and Management System Society (HIMSS) Value Suite database, found in 90% of cases; value came from “improved quality, safety, and/or efficiency of care.” Cost or labour savings were another prominent ROI from IT investments, according to the McKinsey report. The HIMSS value data is encouraging. It demonstrates that IT investments are starting to pay off in healthcare, and the number of apps in this sector is a positive sign that many companies are aligning around patient needs. The question is, how can healthcare take this one step further and unlock the full potential of digital transformation? Healthcare providers can do the same, with the advantage that they can directly access patient data and medical records. #1: Apps need to be fit-for-purpose. One of the abiding myths within the industry is that patients don’t want to use healthcare apps. On the contrary, research shows that 75% of people across dozens of countries do want to use these apps, but they won’t at present because third-party apps don’t do what they need. 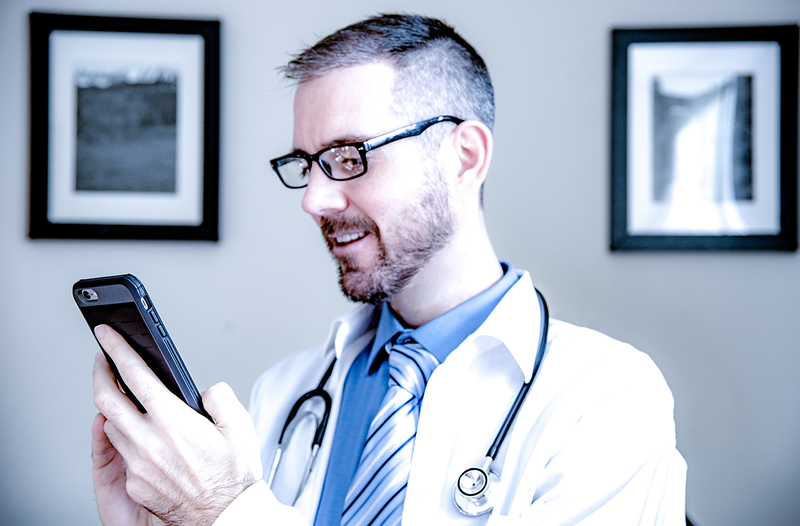 With a smart, secure multi-channel approach, patients will use apps a doctor’s or healthcare provider recommends, providing it makes their lives easier and helps them manage conditions or improve their health. #2: Old people don’t want healthcare apps. Again, this isn’t true. Younger people want health and lifestyle promotion and prevention information. Whereas older patients – 50 and older – want to know how to manage chronic acute and conditions, with 70% in Germany and the UK keen to access health information through digital channels. #3: Mobile health is the Holy Grail. Assuming that mobile health (mHealth) is the holy grail to digital transformation is a mistake. Patients want information through channels that are tailored to their needs and level of IT knowledge. A multi-channel approach that carefully considers the demographics and technical preferences of the end-user will be more effective than betting everything on mHealth only to find some patient groups don’t want or need another app. Behind apps and new software, healthcare providers – from doctors to hospitals, insurance and pharma companies – is an ocean of big data. Unlocking the potential of this data is one of the main challenges that IT providers in this sector are working on, which is why digital transformation could prove so exciting in healthcare. New medical advances, treatments and cures could emerge once an ocean of healthcare data is organised and analysed, which represents a new health care future on the horizon beyond digital transformation.